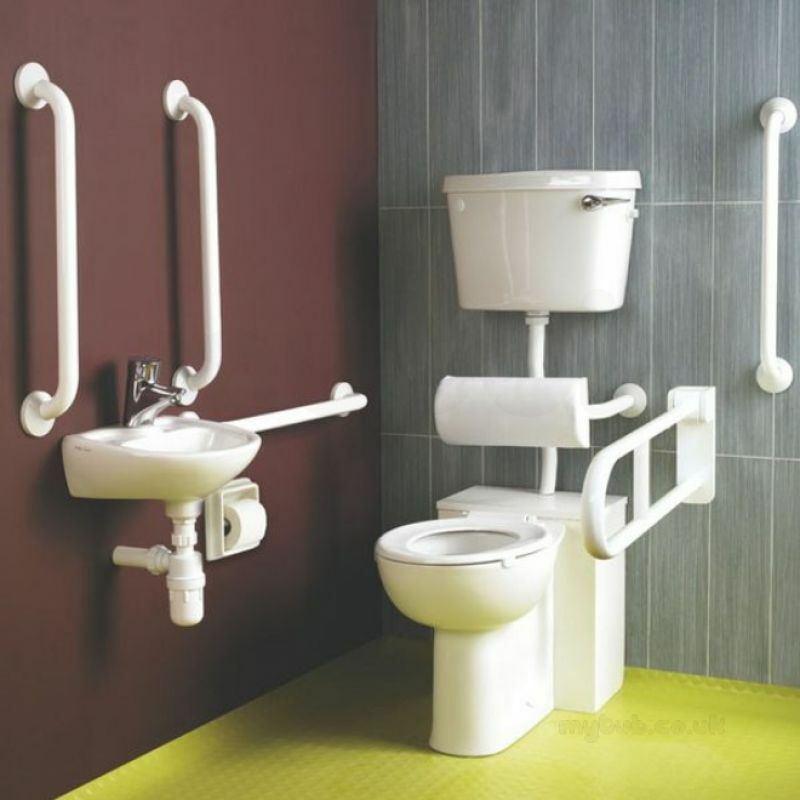 Lower cost Doc M pack, incorporating central taphole to provide equal access for right hand or left hand corner arrangement. 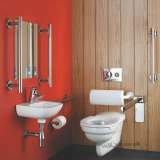 Thermostatic basin mixer TMV3 approved to help prevent scalding. Notes: Doc M packs can be installed both right and left hand corner arrangement, above is illustrated as left hand. 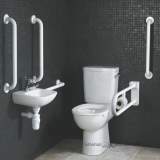 For right hand corner arrangement the cistern flush lever should be fitted on left of cistern. ** Obsolete and no longer available 21/03/2016. Great communication and follow-up over an obsolete part. A company to trust. Many thanks. My ordered items are as described, and delivered on a day date that tailored my convenience. I did specify within the notes of my order the day date, for which was acknowledged by a representative through email and delivered. The service was great, the price great, perhaps to improve further the efficiency of the company, a time frame could have been allocated 7-12 or 12-6 as examples. Otherwise, excellent service and I would recommended mytub in the future. Excellent product Sales support and Delivery!! 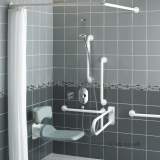 Why choose MyTub Limited for armitage shanks s6875 standard doc m pack bl replaced S6875LI?